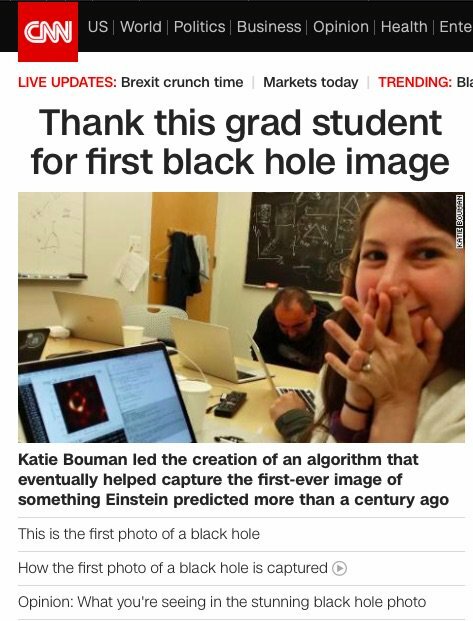 For the moment, CNN’s headline is about grad student Katie Bouman who helped accomplish something extraordinary because she’s really brilliant. The world’s pretty messed up, but for its great to see smart people get famous for awesome things. Next Next post: Burying or Embracing the Past?